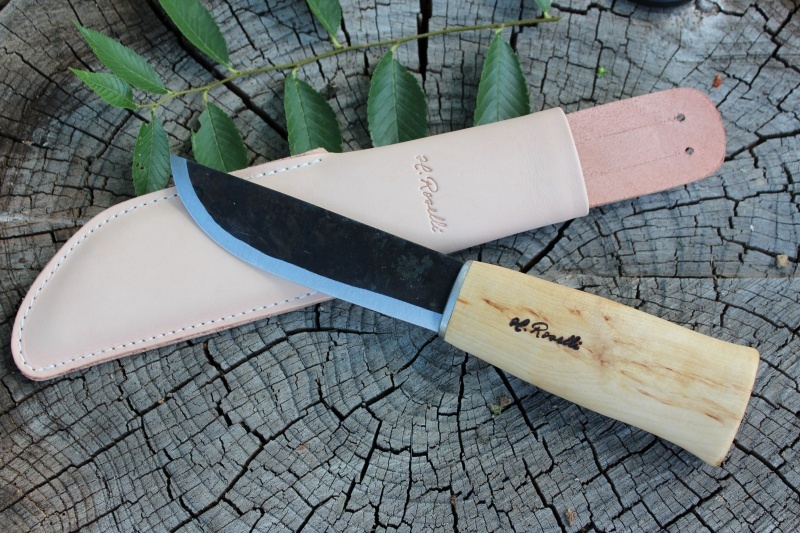 Roselli of Finland's traditional Leuku. 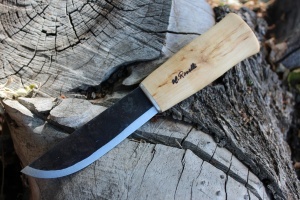 Traditional knife of the Laps, the Leuku is the allaround outdoor knife. The simple, solid design is a product of 1000's of years of daily use and natural practices with blades. Blade 4mm thick, hand forged Carbon steel 59HRC. A traditional, solid shaped Lappish Leuku. The Forged thick blade. 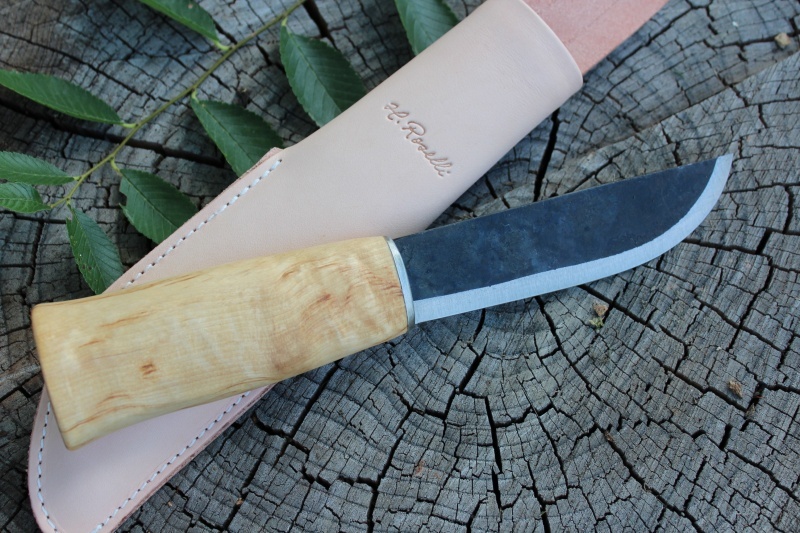 All Roselli Knives include a tastefully simple, solid leather sheath. Roselli Knives are practical, reliable and durable knives. Purchase through PayPal by using the "Add To Cart" button above or use the form below to order the Roselli Leuku . Feel free to contact us if you have any questions about the Roselli Leuku .